The first of six standalone short films sets the tone for the entire experience. We meet various characters on an airplane as they all meet each other, discovering the strange "coincidence" that they all seem to know the same person, a man they have all wronged in one way or another. One of the passengers refers to this seemingly chance small world encounter as "cosmic" but in reality it is anything but. It's an implausible, absurdly calculated opportunity for revenge and only minutes after we are introduced to these people and their stories their tale ends, the screen goes black and we move on to a new chapter. If you watch Wild Tales and hope that the people and their plights will all be tied together eventually with a neat little bow, it isn't going to happen. No, the only dots that can be connected here are stylistically and thematically as each short is it's own animal, although the animal is always violent, angry and looking to quench a thirst for revenge. 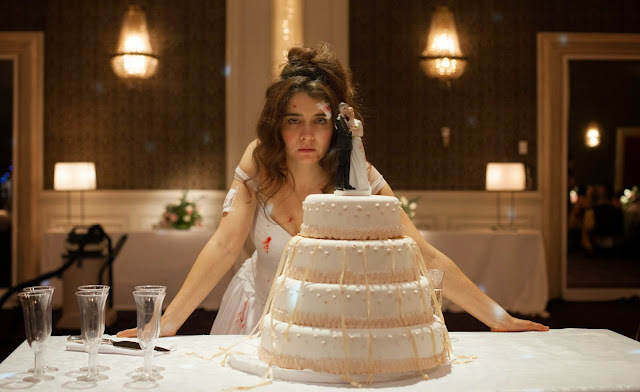 The most important connection here, however, is a very simple one that is sure to be the reason everyone needs to experience Wild Tales: it's so damn funny. On paper the premise of this anthology feature sounds quite dramatic but it's actually a comedy of the very dark variety, and I was laughing early and often. It's littered with terrific dialogue and wonderful characters and delicious satire, worthy of the Oscar nomination it received earlier this year for Best Foreign Language Film. 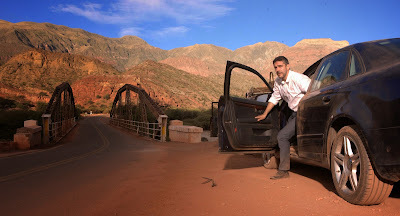 Despite this 2014 recognition, unfortunately a theatrical run didn't occur in the U.S. until a couple months into this year so spoiler alert: look for Wild Tales when I count down the best work of 2015 down the road. You will absolutely discover that it made the cut when all is said and done. If I were to nitpick a flaw here it would be that the six separate short films are not created equal, as some of them excel more than others, but at the same time this fact makes the chance of discussion and debate all the more fun. Everyone is sure to have their favorites, their reasons for connecting to some and not all, and for me the best of the bunch were the third short titled El Mas Fuerte (The Strongest), an absolutely brilliant scathing satire on the absurdity of the concept of machismo masculinity, the fourth installment titled Bombita (Little Bomb) about a man who gets fed up with society and the fact that his voice isn't heard and carries no weight until he does what he does best to make a very loud statement, and the final of the six called Hasta que la muerte nos separe (Until Death Do Us Part) that shows us a wedding that starts off as an expensive, over-the-top celebration until the bride discovers a scandalous secret about the man she just married earlier that very day. 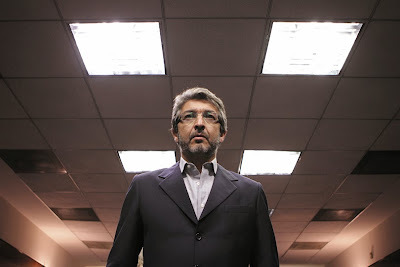 Overall, Wild Tales is a hilarious success, a very clever and unique experience that never truly missed but rather hits with a little less force in some spots but bowls us over in others.